The college years can be a stressful time for any student, but paying massive healthcare bills is one worry students shouldn’t have on their plate. With the affordable care act, students have more options than ever when it comes to finding affordable health insurance plans. Here are some paths to consider if you’re attending school and looking for affordable medical insurance plans. The affordable care act (often referred to as Aca or Obamacare) made it a little easier to join or remain on a parent’s policy, which is often the least expensive option. Now, plans that cover dependents have to accept children until the age of 26. It may not cost your mom or dad anything extra to keep you on the plan, since some cover the entire family for a fixed price. You can piggyback onto your parent’s plan even if you’re a student and no longer living at home, and you don’t have to be a dependent for tax purposes, either. Things get a little more complicated if you attend an out of state institution, however. Depending on the plan, you’ll want to check with the insurance carrier and make sure it has in network providers near the school. Otherwise, your family could be paying a lot more if you need medical attention. Many colleges offer their own affordable individual health insurance, which have key benefits over buying your own individual policy. Because you’re buying as part of a group, the costs are generally much less expensive. In addition, you can often pay for premiums using your student loans, which is a definite plus for cash strapped students. One downside to these low cost health insurance policies is that they’re sometimes more restrictive than other forms of insurance in terms of what they cover. Therefore, it’s a good idea to review your college’s plan carefully before signing up. As a result of the Aca, each state has a health exchange, or marketplace, where private insurers offer standardized plans. One of the advantages of using the exchange is that you may qualify for income based subsidies that can dramatically lower your health insurance rates. These subsidies are in the form of a tax credit, meaning you’ll have to file a tax return to see if you qualify. So even if you don’t make enough money to fill out a return otherwise, there’s now a compelling reason to do so. When you’re completing your application on the insurance exchange, select “no” when asked if you have health coverage, even if you’re currently on your school’s plan and intend to relinquish it. Several states have also expanded Medicaid, which provides affordable health individual insurance care to low income residents. Filling out the marketplace application will tell you whether you’re eligible for even more savings under this joint state and federal program. In many cases, a student health plan or one sold on an exchange will offer decent coverage at an affordable cost of health insurance. However, students on a particularly tight budget sometimes opt for catastrophic coverage instead. As the name implies, these bare bones policies are designed to provide some relief if you experience a major medical complication. Plans sold on an exchange are open to people under 30 (and those with a hardship exemption) and cover three primary care visits a year. Beyond that, you pay your health insurance costs out of pocket until you reach the deductible, which can be over $6,000. Keep in mind that catastrophic plans are always a gamble. If you’re relatively healthy, you’ll benefit from their low premiums. But if something unforeseen should arise, you’ll probably wish you had something more comprehensive. These days, there are plenty of alternatives for university level students looking for cheapest health insurance. 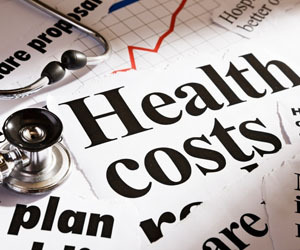 To get the best deal, it’s worth comparing all the different options for the cheapest health insurance for individuals. Be sure to look at what they cover, not just health insurance cost, when making your decision.